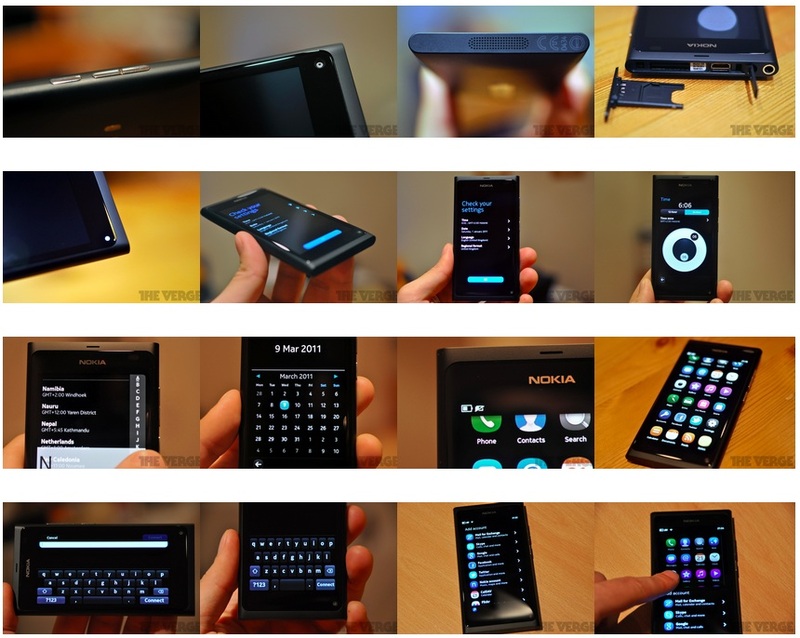 Back in June during the Nokia N9 launch, we collected the myriad of positive Nokia N9 reactions. One that sticks to mind is from Engadget and Vlad – Nokia (more Symbian) often having snide jibes there, with one particular N8 camera comparison against the N8 causing great controversy. So it came as such a surprise when Engadget, in particular, Vlad (along with Myriam Joire who has always been quite fair of Nokia devices) had such a positive experience with the N9, both in hardware AND software. You can check out that previous Engadget, Vlad&TnkGrl reaction here. Well, Vlad’s review is ready and you’re going to like reading it. As a Nokia fan used to hearing harsh criticisms, it’s a tsunami of compliments that really catches you off guard. As things play out though, that won’t be posted on Engadget as he’s joined the rest of the Ex-Engadget crew who are now on TheVerge/ThisIsMyNext. No problems though, that’s a really awesome site. So some things to pick out. There are quite so many positives that I might as well copy and paste the whole review. one of the most fascinating phones of the last few years. 9 finally demonstrates some of that dormant software innovation from the labs in Espoo. blown away by how intuitive, responsive, and fluid the whole interface was. I wasn’t alone, either. I say this without any qualification: the Nokia N9 is beautiful. verything about this phone’s design exudes elegance and harmony. Lines flow seamlessly into one another, fit and finish is perfect, and the feel in the hand is sublime. I’ve used the N9 alongside an iPhone 4S and an HTC Radar over the last few days and would say it has the best ergonomics of the three. one solitary complaint that I must level at the N9′s external design and it relates to the two physical buttons located on its right side. it lives up to Nokia’s ClearBlack Display branding by providing blacks so deep that you’ll often be unable to recognize the boundaries of the display panel under the glass. That seamless appearance plays a big role in making the N9 look and feel effortlessly graceful. screen does falter is in its handling of white and light grey shades; they start to take on a blue hue when looked at from the side. I was impressed by the N9′s battery life, particularly since it runs an aged and not particularly efficient OMAP3630 processor. Almost no way to physically muffle the sound, unaffected if you try and block it. More skill required to get the best out of N9’s phone than typical smartphones. But N9 dips below average on occasions. Struggles in over abundance or deficit of light. Low light generate quite a bit of chromatic noise. N9 opts not to blur it out with post processing (it tries to do minimal post processing, unlike the competition where the image the camera takes is rarely what you’ll ever really see). Multitasking cards represents a refinement of the visual multitasking paradigm Nokia introduced in the N8 and works beautifully. Bonus points for mechanical type writer sound effect. Swipe UI and lock screen. Swipe UI ties everything together. Devastatingly simple and equally effective innovation. So easy and natural, I honestly started doing edge swipes on other phones, an experience that filled me with equal measurement and disappointment. Double tap to unlock and swipe, though it seems superficial, they’re anything but. Hard to overstate how much of a departure N9 is from Nokia’s old comfort zone. Symbian^3 was all too timid and reluctant, this is a bold assured leap. Harmattan UI is also spectacularly consistent. The only other company that has shown this kind of immaculate care with keeping design themes consistent is Apple. Ultimately, what Nokia has put together in the N9’s UI is nothing short of a triumph. feels cohesive and, remarkably, lives up to the fantastic elegance of the phone’s physical design and construction. screen animations flow around your finger like gentle waves of awesomeness. Unfortunately, I’ve been able to make the N9 freeze up for several minutes at a time on numerous occasions. N9 tries to pull the old familiar trick of appearing ready for new instructions when it is in fact still loading things in the background. Fearing this mighty ability of mine to confuse and confound the N9, I began using it more slowly and deliberately — the diametric opposite of what Nokia is going after with its interface design. Nokia is working hard on its first firmware update for the N9, one that reportedly totals over 3,500 fixes and feature additions, so perhaps the bumps I encountered may soon be ironed out. The N9′s app ecosystem is the software equivalent of Chernobyl. It’s just not a place you (or any sane developers) will want to be in. N9 is actually pretty well stocked in terms of the major functionality you’ll need from a smartphone. Again, please read the whole thing. I’ve tried to summarise it as Vlad’s opinion on Nokia and the N9 was pretty important. Hardware wise, I hope to get similar positivity in the SeaRay version, though whether he’ll be as enamoured with Metro is another question (perhaps a trade off to something consistently stable in performance?). Well, they’ve given quite positive reaction to WP before. Fingers crossed. Awesome job Nokia N9 team. I really can’t wait to try one out. I hope they bother putting N9s on the show floor. Thanks Rodrigo, jklubi, Phisbone and Ian for the tip!